Download my sale flyer here: June 2013 Blessings sale Here are some sale highlights. I’ve listed their locations on the five sale pages in parenthesis. 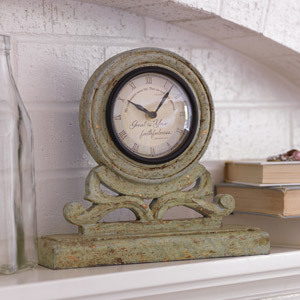 Great is Your Faithfulness Mantel Clock (page 2) Regular price $48 | Sale $8 $8 is an outrageous price for this clock! 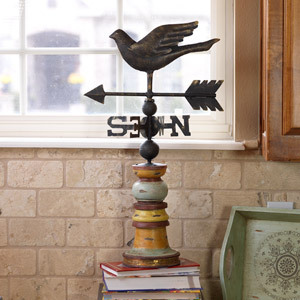 If You Seek Him Weathervane (page 2) Regular price $79 | Sale $25 We have this weathervane on the baker’s rack in our entry. I love it and this is a great price! 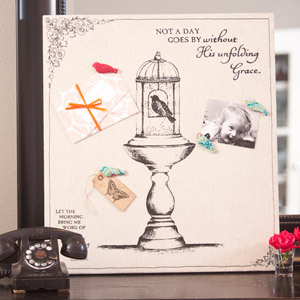 Magnetic Memo Board (page 3) Regular price $52 | Sale $12 This memo board is sturdy, lightweight, and bigger than you’d expect. 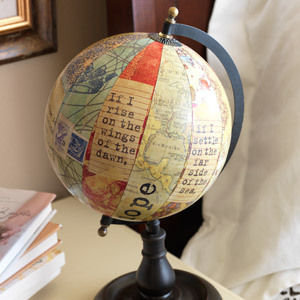 Large Pathway Globe (page 3) Regular price $46 | Sale $15 I have this globe sitting on a my bookcase and also gave one to a friend for her birthday last year. It comes in two sizes. 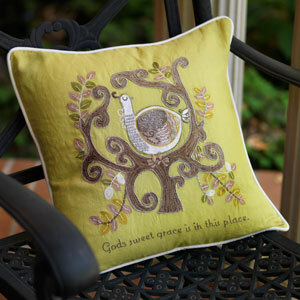 Grace Pillow Regular price $44 | Sale $10 I think this pillow is simply lovely, don’t you? 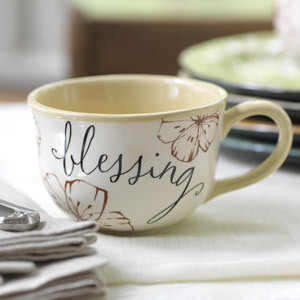 Mug-Blessings (page 3) Regular price $12 | Sale $8 This is one of my favorite mugs. One day I found a note next to mine from my 22-year-old son asking if I’d order one for him, too. There are four coordinating mugs with matching plates in this set. Spring, Summer, Fall, and Winter Watercolor Decor (sold individually on pages 1, 4, & 5) Regular price $40 each | Sale $12 each I’ve been smitten with these four seasons tree canvases since I first saw them. Normally they sell for $40 each, but now you can get them all for $48. This sale runs until June 30, but items could sell out at these prices. Please share this post and sale with your friends or via your sales board Pinterest. Thank you! I would love some information about the possibility of becoming a consultant. I got the seasons trees as a birthday gift….but only received winter, spring, and summer (im going to assume that fall was sold out) im wanting to hang them above my bed and it looks off without fall. How could I find fall? Thanks for any advice! HELLO I WANTED TO KNOW IF YOU STILL HAVE ANY OF THE REMINDER OF HIS LOVE PIECES? I AM LOOKING FOR THE CUPS AND SAUCERS?